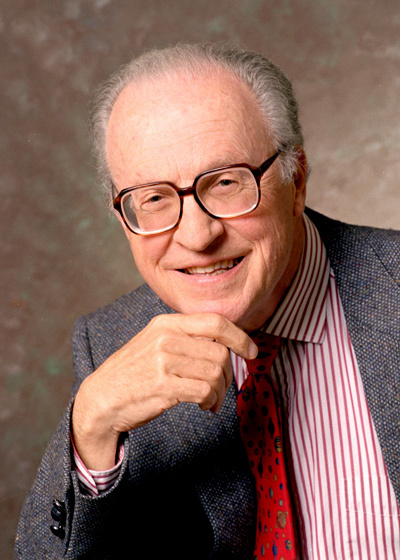 Donald Arthur Glaser, a Nobel-prize winning physicist who reinvented himself as a biotech pioneer and later dove into the field of neurobiology, died in his sleep Thursday morning, Feb. 28, at his home in Berkeley. He was 86. UC Berkeley Department of Physics. Glaser, a professor emeritus of physics and of molecular and cell biology at the University of California, Berkeley, won the 1960 Nobel Prize in Physics for inventing the bubble chamber, a device that allowed scientists to track the paths of electrons, protons and other elementary particles after collisions, which led the discovery of whole families of new particles. With the freedom that accompanies a Nobel Prize, he soon began to explore the new field of molecular biology, and in 1971 joined two friends, Ronald E. Cape and Peter Farley, to found the first biotechnology company, Cetus Corp., to exploit new discoveries for the benefit of medicine and agriculture. The company developed interleukin and interferon as cancer therapies, but was best known for producing a powerful genetic tool, the polymerase chain reaction, to amplify DNA. In 1991, Cetus was sold to Chiron Corp., now part of Novartis. In the 1980s, Glaser turned his attention to the field of neurobiology and spent a semester at The Roland Institute for Science in Cambridge, Mass., Polaroid inventor Edwin Land’s research center, where he began psychophysics experiments in vision to understand, for example, how humans perceive motion. Based on these experiments, he developed mathematical models that he simulated on a computer, said neurobiologist Tomaso Poggio, a professor in the McGovern Institute for Brain Research at the Massachusetts Institute of Technology, who first met Glaser as he was changing fields in the 1980s. Glaser was born in Cleveland, Ohio, on Sept. 21, 1926, the son of Russian immigrant parents William J. Glaser, a businessman, and his wife Lena. He received his early education in the public schools of Cleveland Heights, and completed his B.Sc. degree in physics and mathematics at the Case Institute of Technology in 1946 while playing viola with the Cleveland Orchestra. After serving as a teacher of mathematics at the institute, he began his graduate studies at the California Institute of Technology in fall 1946. He obtained his Ph.D. in physics and mathematics from Cal Tech in 1950 with a thesis on the momentum spectrum of high energy cosmic ray and mesons at sea level. In 1949, Glaser began teaching in the physics department of the University of Michigan, where he examined various experimental techniques, including diffusion cloud chambers and parallel-plate spark counters, for visualizing elementary particles. He finally hit on the idea of a bubble chamber – “a pressure cooker with windows,” in his words – and built the first one-inch prototype in 1952. The device worked by superheating a liquid, such as xenon, above its boiling point so that when a particle moved through it, it left a trail of boiling bubbles that could be tracked and photographed. Glaser moved to UC Berkeley in 1959 and in 1960, at the age of 34, won the physics Nobel. It wasn’t long, though, before he began to explore a new and growing field, molecular biology. He worked in UC Berkeley’s Virus Lab, conducting experiments with bacteria and bacterial viruses called phages and mammalian cells. He designed automated equipment that made it easier to grow these cells and to study how they grow, repair themselves and reproduce. 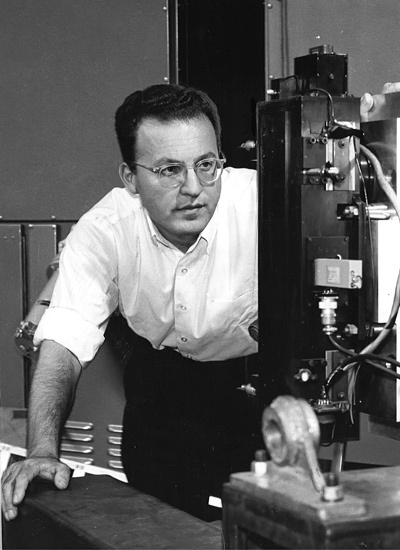 Donald Glaser in 1960, the year he won the Nobel Prize in Physics, posing with a bubble chamber. LBNL photo. His experience automating visual tasks in physics and molecular biology eventually led him to an interest in human vision and how the brain processes what is seen. “He was a man of wide-ranging interests, very inventive, always thinking outside the box,” Steiner said. Glaser received many honors for his work, including the1953 Henry Russel Award at the University of Michigan for distinction and promise in teaching and research; the 1958 Charles Vernon Boys Prize of the Physical Society, London, for distinction in experimental physics; the 1959 American Physical Society Prize for his contributions to experimental physics; and in 1959 the honorary degree of Doctor of Science by the Case Institute of Technology. In the years since 1960, Glaser was a consultant and adviser to many governmental organizations, industrial boards of directors, non-profit groups, and a member of the editorial boards of several scientific publications. He also was a member of the Life Sciences Division at Lawrence Berkeley National Laboratory. Glaser is survived by his wife, Lynn Glaser (nee Bercovitz), a musician and painter; two children, pediatrician Louise Ferris Glaser of Sacramento and high-tech leader William Thompson Glaser of Berkeley, from his first marriage to Ruth Bonnie Thompson; and four granddaughters. A physics department memorial in honor of Glaser is planned for the spring. The Glaser family asks that, in lieu of flowers, gifts be directed to the Donald A. Glaser Advanced Lab in UC Berkeley’s Department of Physics. The lab is central to an undergraduate course where physics majors apply theory to real world experiments. This course reflects Glaser’s passion for experiment and for students. To donate, link to http://www.physics.berkeley.edu, or contact Maria Hjelm for more information: (510) 642-5979 or mhjelm@berkeley.edu.